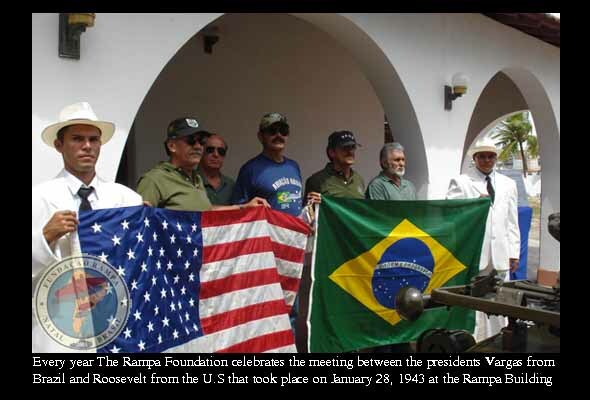 The Rampa Foundation was established in 2001 as the caretaker of a 1943 Pan Am Seaplane Station building, known popularly as "Rampa" by the locals. 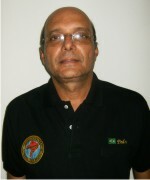 It has its origins in the Brazilian Air Force. 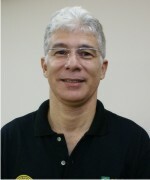 The first president was Major-Brigadier Juvenal Macedo. The Foundation had a Museum, which didn't last longer, because the whole area which belonged to the Brazilian Air Force was handed over to the Brazilian Navy. 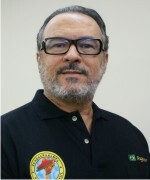 In 2008 a new board assumed and The Rampa Foundation became a Cultural Institution dedicated to the research, preservation and difusion of Natal's rich Aviation past. That is our mission. To pass this Legacy on to the new generations. Under the form of Books, Lectures, Documentaries and recording Oral History with the witnesses. Last year we published a book, this year 2010 we are producing a documentary, we have given several lectures at schools and universities and have recorded more than 10 interviews. Our contributors in the U.S., Brazil and Europe have gathered a good collection of pictures, books and Aviation related items to our collection. We also make annual public celebrations related to Aviation and Historical dates like the meeting between presidents Roosevelt (U.S.) and Vargas (Br.) that took place in the Rampa on Jan. 28, 1943. We also parade in our Independence Day, Sept. 7th. Currently we do not have a headquartes open to the public and our goal is to commit society in general to help us open "The Rampa Foundation's Cultural Center", a space dedicated to everybody interested in this wonderful era, when Natal was an international hotspot for Aviation. There, our collection will be displayed for, we are sure, amazement of the visitors! We have plane's parts salvaged from the sea bottom, old magazines, newspapers, pictures, everything required to make the visitor go back 60-70-80 years. On top of that we intend to have a Documentation Center with digital copies of documents, newspapers, pictures, movies, open to researchers all over the world, a Library with Aviation related books, a Veteran's Corner, a Cineclub and Classes for the general public on IT, English and Photography. Also a place to have a lunch and enjoy a nice chat with Aviation-lovers. We have already a Research and Plastic Model Group, and of course they will have their share there, diplaying their models and making reunions on a weekly basis. To tell you about the importance of Natal in Aviation History, from the fledgling pioneers to the end of the most brutal conflict the human race has ever seen, it was a witness and a player in making aviation a reality for everyone. The first regular trans-oceanic aerial mail route was stablished in 1934 by Lufthansa from Berlin to South America via Natal. 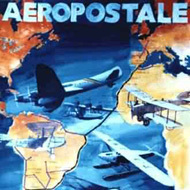 In 1930 the French had already stablished an aerial mail route that linked France to Natal, South America. Amelia Erhart passed through Natal in 1937 in her world cruise, which led to her death. Charles Lindbergh also made a stop in Natal in his way home in 1933. The Italians broke the long distance record by flying non-stop from Rome to Touros in 1928. The Zeppelins also flew over the State in several occasions. Before WWII, Pan Am and her Brazilian subsidiary Panair, Air France, Lufthansa and her Brazilian subsidiary Syndicato Condor and the Italian Airline LATI lived together in Natal. After Brazil declared war on the Axis powers in August 1942, the combined US and Brazilian military patroled the Atlantic narrows, between Brazil and Africa. Many U-boots met their fate in the hands of US Navy anti-submarine squadrons based in Parnamirim Field, the largest U.S. base outside the U.S. The first B-29s used against Japan, from the CBI theater of war, flew her way from the U.S. to China via Parnamirim Field, Natal. All the planes used in North Africa, Middle-East, China, Burma, India, were ferried via Natal, even a replacement engine, a spare part or a vital bood-bag, came to the front via Natal, home of Air Transport Command South Division (SATD) under Gen. Walsh. After the war, on the way home all those planes with the veteran crews from Europe, the CBI and North Africa made a resting stop in Natal before getting home. It was Operation Green. 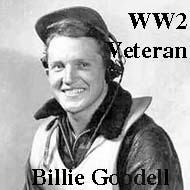 Billie Goodell was the first veteran from the U.S. Navy we became friends with. 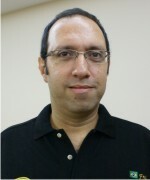 He inspired us to do our work. 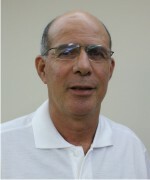 He contributed a lot with stories, anedoctes, pictures and friendship. 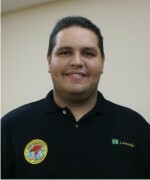 He was stationed in Brazil in VP-83/VB-107. 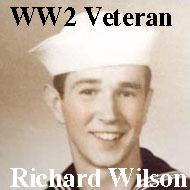 Richard Wilson is our newest contributor, also a WW2 veteran from U.S. Navy who was stationed in Brazil with VB-107. Plastic modeling is another activity we perform. 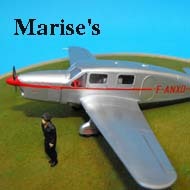 Caudron C.635 Simoun was Marise Bastie's plane used to cross the South Atlantic in 1936, from Dakar to Natal. This 1/72 scale model is from Heller.